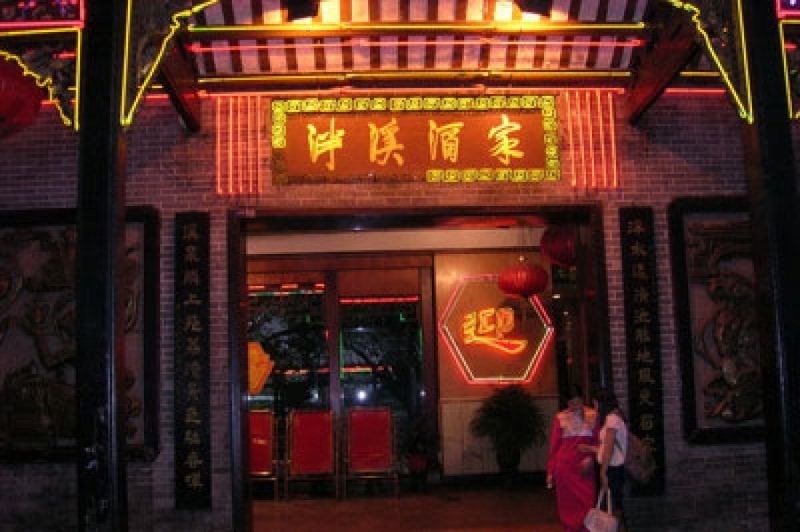 Pan Xi Restaurant is the largest garden restaurant, located in the Liwan District of Guangzhou Pan west pond. Here was a thousand years ago, South Han emperor Chang Imperial Garden "Wah Chang" the old haunt. Later, lychee trees have been planted here and elegantly called "lychee Bay", but also because Pan Tong rich famous "Pan Tong five show" (five kinds of aquatic plants, that lotus root, water chestnut, wild rice shoots, water chestnut, Ci Gu), and therefore, "white Ho Hung Lai, five show fragrance, "the chant. From the Tang Dynasty, a number of royal clan, the gentry took advantage of Lychee Wan Jia big beautiful scenery, convenient traffic conditions, local conditions, skillfully built luxury garden. Until the Ming and Qing Dynasties, there appeared more eager to build a large pavilions, large private forest estates Court and prosperous group situation. Pan Creek in the form of garden Restaurant born in this land, also relative to the passage history of the reason. 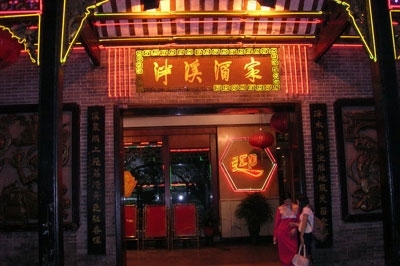 Traditional Chinese restaurant famous for its dainty and delicious dim sum. An English menu is available, making your selection a little easier.